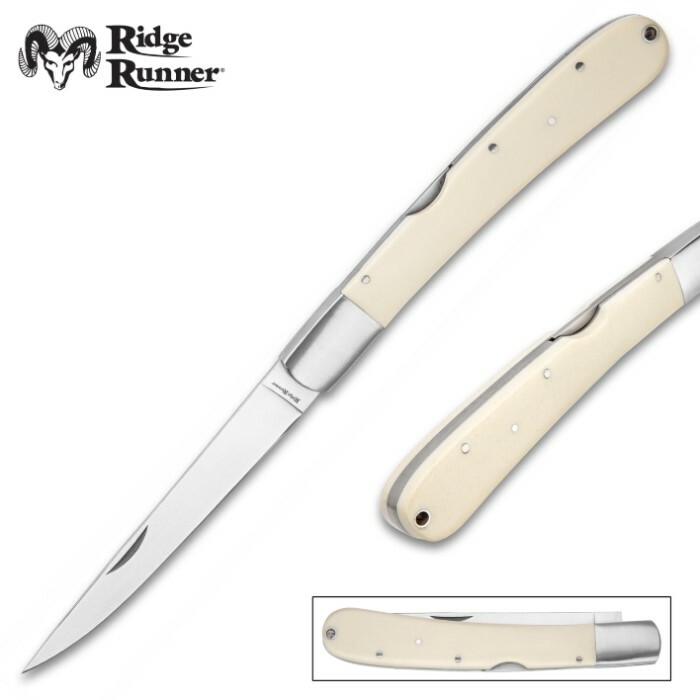 Ridge Runner Big Fisher Folding Fillet Knife - 3Cr13 Stainless Steel Blade, Faux Bone Handle, Lockback - Closed Length 6 1/2” | BUDK.com - Knives & Swords At The Lowest Prices! The Big Fisher Folding Fillet Knife by Ridge Runner is an excellent tool to carry out with you when you’re fishing or camping on the beach. You are getting a nice sized, keenly sharp fillet knife with the convenience of it folding in half for ease of storage and carry. 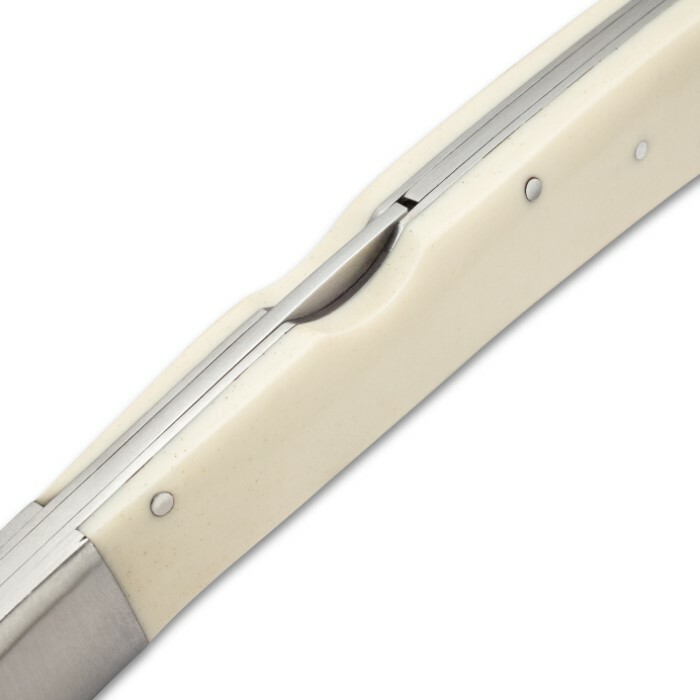 The 5” 3Cr13 stainless steel blade has a nail nick for easy opening and the blade is secured open by its lockback mechanism. 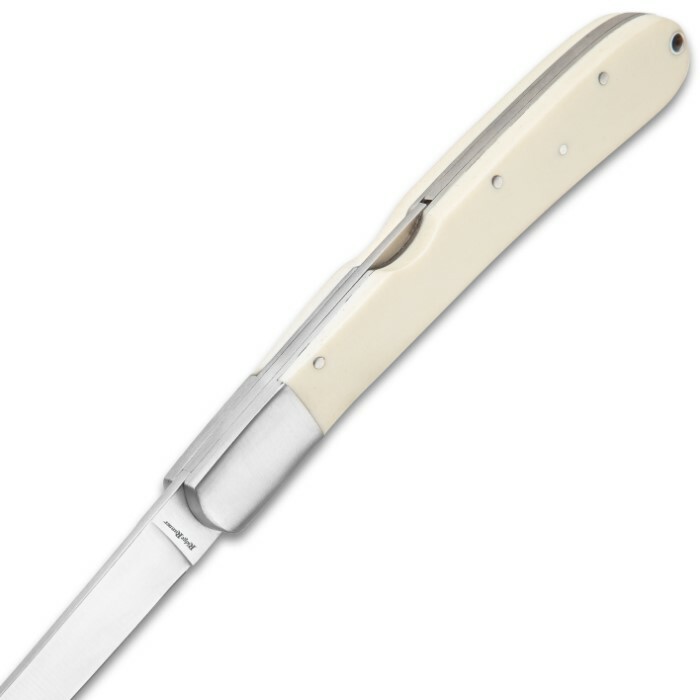 The handle is stainless steel with white faux bone scales, attached with stainless steel pins, and it has a lanyard hole. 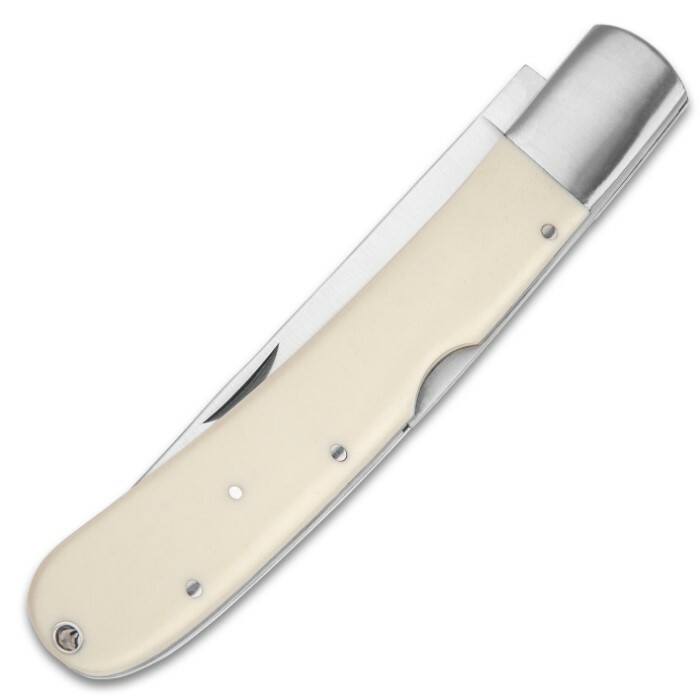 The large folding fillet knife is 11 1/4” in overall length and is 6 1/4” when it’s closed. This knives are definitely a big winner,luv everything about them,da beauty,stylish and dat feelin curve that feels perfect on my hands and length is just also perfect,took too long to find these kind of knives in my life and so glad i did ,this is a definitely are forever knives,I showed my buddies and they were speechless,this will be my only pocket knife and will keep comin back for more and gifting,a million thanks!??? ?